The Pentagon released its four-prong approach for a Space Force as a sixth branch of the armed forces, reports Aviation Week. Its report calls for a new unified combatant command, US Space Command, reports Defense News, to be led by a four-star general. The report also proposes a Space Development Agency, for rapid procurement for space assets, although cost and structural details are not yet established. Nor is it clear whether these new organizations will replace or complement similar existing programs and infrastructure. Currently the Air Force owns and operates most of the military’s space infrastructure. While the merits of the new Space Force remain under debate, Congressional approval will ultimately be needed to create the command, a Center for Strategic and International Studies report finds US national security space systems vulnerable to a wide array of threats, ranging from cyberattacks and jamming to anti-satellite missiles, reports Defense News. During their meeting in Helsinki last month, Vladimir Putin presented President Donald Trump with requests for new talks on controlling nuclear arms and prohibiting weapons in space, according to a Russian document obtained by Politico. Experts are skeptical of protections in place for the vote by phone technology allowing West Virginian military members serving abroad to vote by phone in November’s US election, reports Wired. Security experts warn, with signs that the midterm elections are already being targeted, this is exactly the wrong time to roll out a new online voting method. Russian operatives have “penetrated” some of Florida’s voter registration systems ahead of the 2018 midterms, Sen. Bill Nelson (FL-D) told the Tampa Bay Times. State officials say the state has received “zero information” supporting his claim. German authorities believe they are on firm legal footing to retaliate against cyber attacks by unleashing digital or conventional counterattacks, reports Fifth Domain. The responses by government officials to lawmakers sheds light on some of the legal considerations of cyber-warfare mulled in Berlin, just as the Bundeswehr moves toward full operational capability of a new command devoted to cyber operations. The FY19 NDAA lifts travel reimbursement reductions for DoD employees and service members, reports Federal Times. A cap on reimbursements was put in place November 2014 as a cost cutting measure. Some GOP lawmakers look to divert $750 million earmarked to replace the Coast Guard’s only working heavy icebreaker ship for President Donald Trump’s wall at the Mexico border, reports ABC News. The Polar Star has been in service a dozen years beyond its intended 30-year service life. “We need six icebreakers, three of them need to be heavy icebreakers, and we really need one today,” according to Adm. Karl L. Schultz, the new commandant of the Coast Guard. President Donald Trump promised Schultz a new ship while presiding at his change-of-command ceremony in June. Pro-government Turkish lawyers reportedly filed charges against US Air Force officers associated with İncirlik Air Base, alleging a connection to a coup d’état against Turkey’s government in July 2016, reports Air Force Times. The lawyers seek access to the base via a search warrant and a temporary halt to all flights leaving the base, an important staging point for combat operations against the Islamic State group. Early retirement boards convene in September to force non-performing senior Navy officers into retirement, reports Navy Times. Although the Navy wants 25,000 sailors in the coming years, the service’s leaders believe the selective early retirement boards make for a better officer corps. The boards won’t be given mandatory numbers to trim. VADM Robert Burke said the entire process really amounts to a quality control check on the senior officer corps. Deputy DefSec Patrick Shanahan announced the Defense Innovation Unit, previously known as DIUx, will formally drop the “experimental” part of the title, reports Defense News. “Though DIU will continue to experiment with new ways of delivering capability to the warfighter, the organization itself is no longer an experiment,”Shanahan said. South China Morning Post reports a senior Chinese diplomat will visit Moscow next week seeking closer ties as a hedge against Trump’s unconventional and aggressive approach on trade and global affairs. The visit follows the US announcement of fresh sanctions against Russia, and Beijing and Washington remain locked in a trade war. Domestic violence will become a separate crime under the Uniform Code of Military Justice when the annual defense authorization act is signed into law next week, reports Military Times. Science Applications International Corp., Reston, Virginia, is awarded a $596,600,000 indefinite-delivery/indefinite-quantity contract (N6523618D8014) with provisions for cost-plus-fixed-fee, fixed-price-incentive, firm-target, and firm-fixed-price delivery/task orders. The contract is for the production and delivery of integrated command, control, communications, computers, intelligence, surveillance, and reconnaissance systems, networks and support equipment. The work includes procuring, fabricating, assembling, integrating, testing, inspecting and delivering a highly diverse range of systems that include various complex designs provided by Navy program offices in the form of technical data packages. Systems vary in complexity, but generally include the integration of engineered cable assemblies, mounting kit assemblies, hardware, and software/security applications necessary to provide the warfighter with the capability to communicate, maintain situational awareness, and achieve information dominance. The contract includes a single five-year ordering period and an additional two-year award term. The award term, if earned, would bring the cumulative value of this contract to an estimated $861,100,000. Work will be performed in Charleston, South Carolina (90 percent); and Norfolk, Virginia (10 percent), and is expected to be complete by August 2023. If the award term is earned, work could continue until August 2025. Fiscal 2018 Navy working capital funds in the amount of $25,000 will be placed on the first delivery order and obligated at the time of award. Contract funds will not expire at the end of the current fiscal year. This contract was competitively procured by full and open competition via the Space and Naval Warfare Systems Center e-Commerce Central website and the Federal Business Opportunities website, with four timely offers received. Space and Naval Warfare Systems Center Atlantic, Charleston, South Carolina, is the contracting activity. Bell Boeing Joint Program Office, California, Maryland, is awarded $74,217,505 for a firm-fixed-price, long-term contract for the repair of 23 items used on the V-22 aircraft. Work will be performed at contractor facilities in Fort Worth, Texas; and Ridley Park, Pennsylvania. The percentage of work at each of those locations cannot be determined at this time. Work will be completed by August 2019. Fiscal 2018 and 2019 working capital funds (Navy) will be obligated as individual orders are issued, and funds will not expire at the end of the current fiscal year. This contract was a sole-source pursuant to the authority set forth in 10 U.S. Code 2304 (c)(1), in accordance with Federal Acquisition Regulation 6.302-1. The requirement was posted to the Federal Business Opportunities website and the Navy Electronic Commerce Online website, with one offer received. 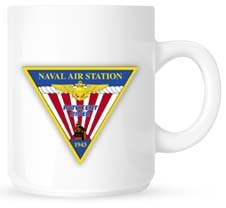 Naval Supply Systems Command Weapon Systems Support, Philadelphia, Pennsylvania, is the contracting activity (N00383-18-D-NV01). Lockheed Martin Rotary and Mission Systems, Syracuse, New York, is being awarded a $47,006,804 cost-plus-incentive-fee modification to previously awarded contract N00024-09-C-6247 to procure, assemble, integrate, test, and deliver modernization upgrade kits and associated spares for the AN/BLQ-10 system. Work will be performed in Syracuse, New York (98 percent); Manassas, Virginia (1 percent); and Moorestown, New Jersey (1 percent), and is expected to be completed by December 2020. Fiscal 2018 other procurement (Navy) and fiscal 2018 shipbuilding and conversion (Navy) funding in the amount of $41,683,398 will be obligated at time of award and will not expire at the end of the current fiscal year. The Naval Sea Systems Command, Washington, District of Columbia, is the contracting activity. 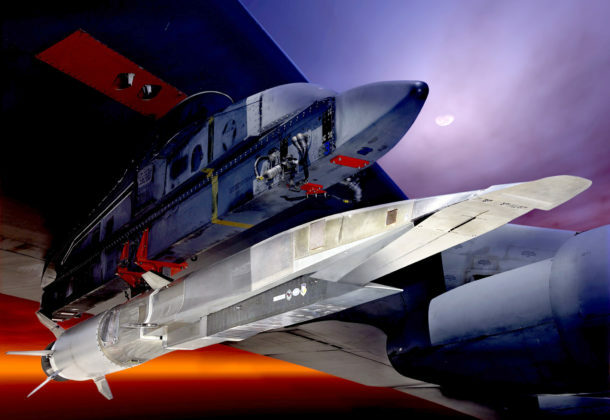 The Boeing Co., St. Louis, Missouri, has been awarded an $11,229,796 firm-fixed price modification (P00019) to contract FA8621-16-C-6397 F-15C and F-15E mission training center services contractor-furnished, high-fidelity simulation equipment to provide simulation capability to train pilots and weapons system operators. The contract modification is to update the simulation devices to incorporate Suite 9.0/Multifunctional Informational Distribution System-Joint Tactical Radio System and Suite 7.2 C Infrared Search & Track Pod for training concurrency with the F-15C and F-15E aircraft platform. Work will be performed at Seymour Johnson Air Force Base, North Carolina; Mountain Home AFB, Idaho; Langley AFB, Virginia; Kadena Air Base, Japan; and Royal Air Force, Lakenheath, England, and is expected to be completed by Nov. 30, 2020. Fiscal 2018 operations and maintenance funds are being obligated at the time of award. Total cumulative face value of the contract is $154,373,119. This award is a result of a sole-source acquisition. Air Force Life Cycle Management Center, Wright-Patterson AFB, Ohio, is the contracting activity.